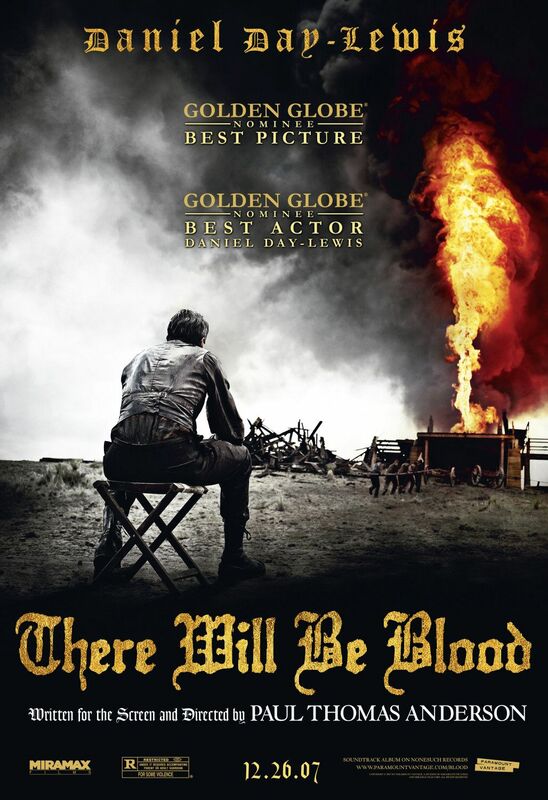 What It’s About: Daniel Plainview (Daniel Day-Lewis) starts as an oil prospector and becomes a major power in the business through his ruthlessness and devotion to success over any other possible consideration. Why Watch it Today? : The first commercial oil well was drilled today in 1859. Paul Thomas Anderson’s There Will Be Blood, based on Upton Sinclair’s novel Oil!, is a brilliant character study of Daniel Plainview. This entry was posted in Adaptation, Arthouse, Based on a Book, Drama, Indy, Movie of the Day, Period Film and tagged Best Actor, Best Adapted Screenplay Nominee, Best Art Direction Nominee, Best Cinematography, Best Director Nominee, Best Film Editing Nominee, Best Picture Nominee, Best Sound Editing, California, capitalists, Christian fundamentalists, Ciaran Hinds, con artist, Daniel Day-Lewis, deaf people, minister, Miramax, oil, Paramount Vantage, Paul Dano, Paul Thomas Anderson, prospectors.